Fall planting is important. It’s a common misconception that Fall is the end of growing season. But in reality, mid-October through March is a less stressful season to plant in. Milder temperatures help encourage healthy root growth underground. In Fall, you won’t see the rapid surface growth that you would in Spring, but roots are growing underground — thanks to still warm top soil. Why plant in the Fall? Cooler, wetter weather is the perfect time for tree planting. Thanks to developing your roots earlier, in Spring you’ll see a wealth of leafy growth. Your newly grown roots allow for easier access to water in warm spring temperatures and a larger water reserve — reducing the stress on a new transplant. Planting in the Fall is even more important for planting via the balled-and-burlapped method. Since the plants are dug up, they can lose up to 90 percent of their root systems. This in makes it much harder for the plant to take hold in warmer temperatures. By planting in the dormant season, you allow enough time for the roots to take hold. If you plan on planting to encourage root growth in the Fall, remember to dig a sufficiently wide hole. Most tree roots grow in the top layer of soil, from about the 12 to 18 inch mark. The hole should be roughly 3x the size of the root ball, but relatively shallow in depth. Some tree species that are recommended for fall planting include the maple, chestnut, alder, hackberry, hawthorn, ash, crabapple, spruce, pine, sycamore, linden and elm. Avoid planting broad-leaved evergreens like azaleas, rhododendrons, hollies, and boxwoods. 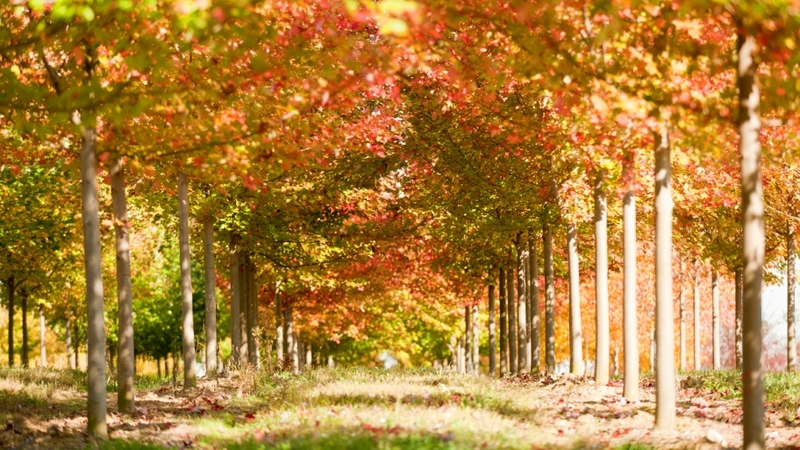 Coastal Timber Tree service is here to help you with all your Fall planting needs. Avoid the Spring rush and set your plants up to succeed. Call us today with any questions at 401-374-1513.